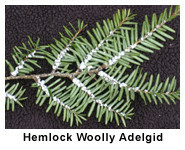 The Hemlock Woolly Adelgid is the Greatest Threat to our Forests and Landscapes in a Generation! The USDA / U.S. Forest Service has referred to the pest as the next Chestnut Blight. 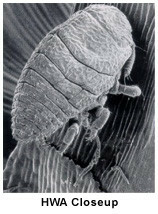 The hemlock woolly adelgid (HWA) is in the process of wiping out most of the millions of hemlock trees on the East Coast, by attaching at the base of the needles and literally sucking the life from the trees. While, there is currently no remedy for this problem in our forests at large, there are several treatment options for those hemlock trees, large and small, in our landscapes. This means that in the future the only hemlocks around will be those that are being conscientiously maintained with an effective, consistent treatment strategy. The HWA first came to the United States from Asia in the 1920's. This introduced pest has worked it's way up and down the East Coast. Adelgid cause hemlock trees to weaken, and eventually die. The tree first takes on a paler shade of green, then needles begin dropping. In cases of heavy infestation, complete defoliation can occur in as little as twelve months. If your trees are infested you'll probably notice the white, cottony masses that contain up to 300 eggs per puffball. It's no wonder the pest can spread over a tree so fast! When this destructive pest began to threaten our customer's precious hemlock trees, we committed ourselves to providing the most complete, and up-to-date treatment strategies. We have treated over 10,000 hemlock trees. 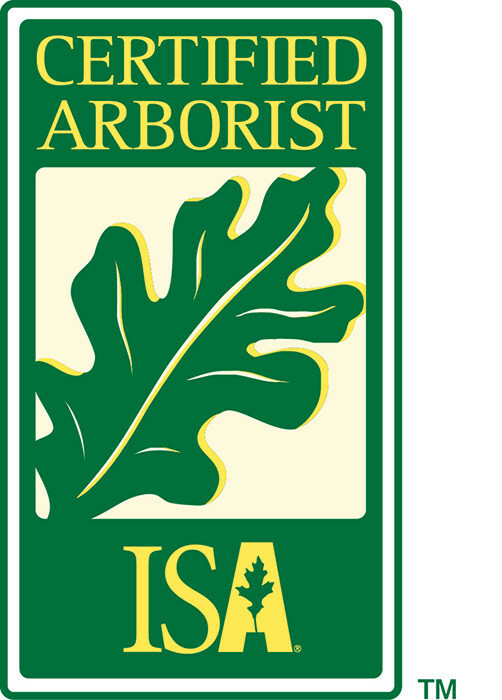 There is not another Certified Arborist in this area with more experience with the state-of-the-art-treatment methods for this tough pest. Our Hemlock Woolly Adelgid Control Program offers the most comprehensive treatment strategy available. 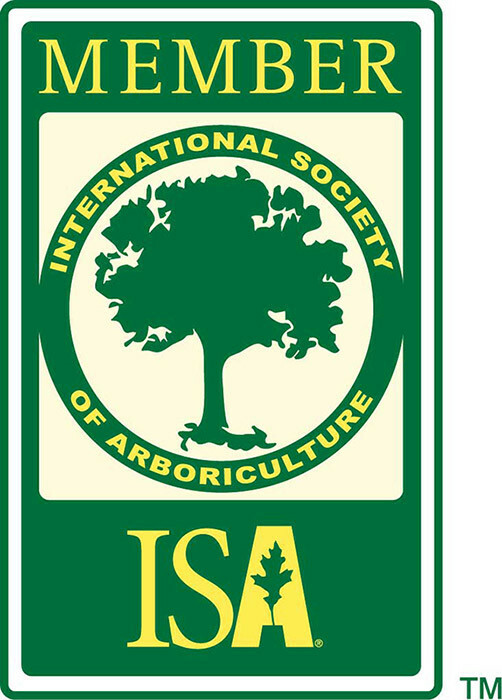 Initially, we evaluate your trees to determine the degree of infestation and the overall health of your trees. We recommend a specific plan based on your particular situation. Our prescribed treatments are performed, at the appropriate time. Between treatments, we monitor your trees to stay aware of their progress and health.